Visitor registration now live for 2015. Visitors at last year’s showFaversham House, organisers of Sign & Digital UK, has just announced that visitor registration for the 2015 show is now live and people can register for free at www.signanddigitaluk.com. Billed as the UK’s leading trade exhibition for the sign making, display solutions and digital printing industry, the event will return to the NEC, Birmingham on 24 to 26 March 2015, in halls 17 and 18. Show organisers have also today confirmed that Sign & Digital UK is expanding its floor plan for the third time this year due to continued high demand. 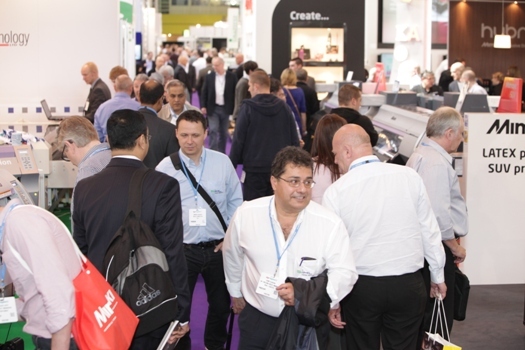 The latest exhibitors to book include Ultraflex Europe, Xpres, Antalis, William Smith, Biesse, YPS, Mulitpanel, BTC Activewear and Universal Image Systems. Other exhibitors already signed up include Hybrid Services/Mimaki, Roland DG, Hewlett-Packard, Agfa Graphics, Fujifilm, Paperlinx, Grafityp, Perfect Colours, i-sub, CMYUK, Inktec/Jetrix, Atech, GPT, Art Systems, Signwaves, PrintMax, Blackman & White and many more. A full exhibitor list can be found at www.signanddigitaluk.com.